It’s been about a year since I last visited Salt n Pepper, which is Central London based in Soho, just a few minutes from Piccadilly Circus and Leicester square stations. The restaurant has remained the same looks wise but the menu has completely changed. 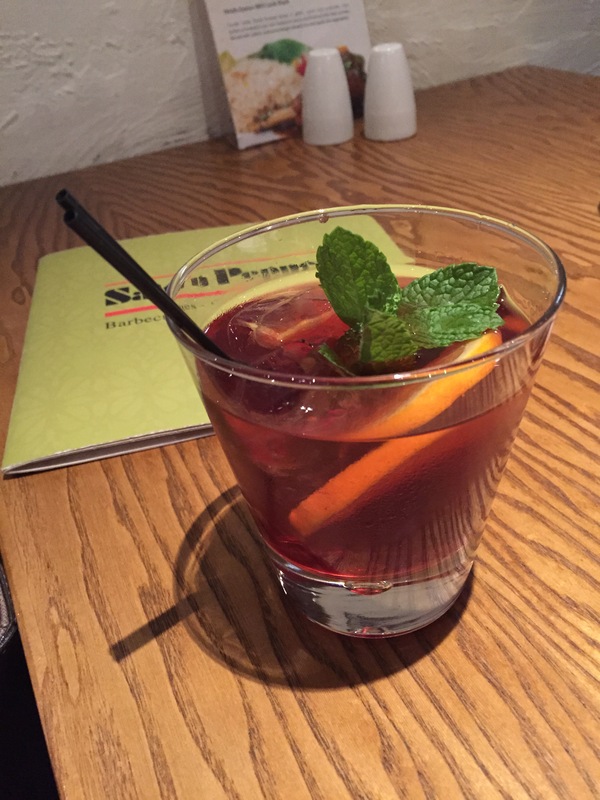 Salt ‘n’ Pepper prides itself in serving some of the best Pan-Asian food in London. I had originally planned to only pop in for a few cocktails but ended up staying for some luscious food. And was I glad! We started with a couple of cocktails: the Mango Bellini and Tequila Power Punch. 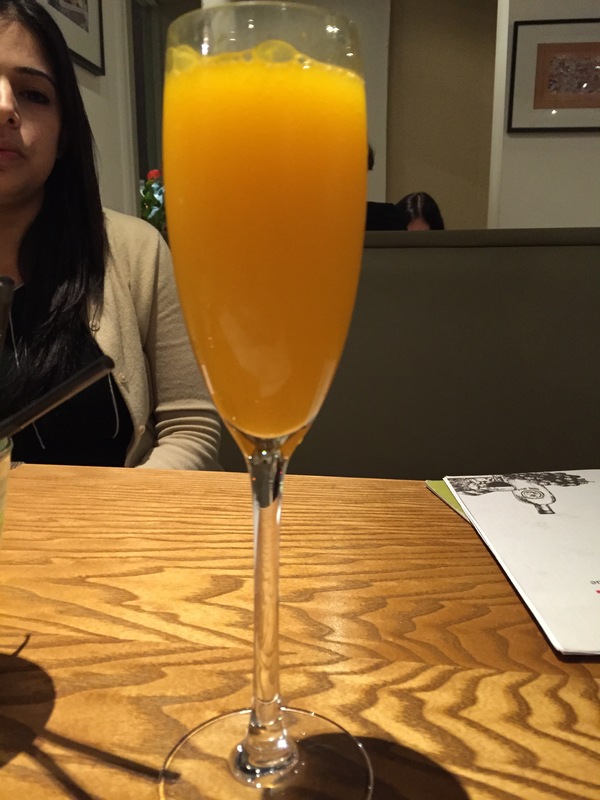 The Mango Bellini was a great twist on the peach Bellini made with Prosecco and white mango puree. 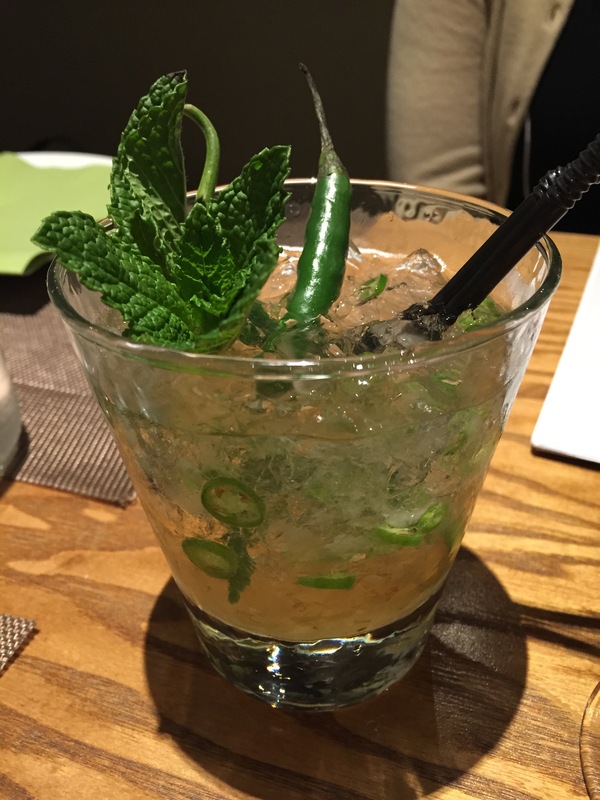 The Tequila Power Punch most definitely packed a punch; made with tequila, lime and fresh green chillies. This is a special concoction especially developed for Salt ‘n’ Pepper by the new restaurant manager Ajay Sharma who was previously part of the Mela Group. It was also great to see drinks port and patron on the menu as you don’t see this on many restaurant menus. Later on we also had a mojito and Pomegranate Screwdriver. All the cocktails were different, classy, pretty and it was great to see cocktails made with Asian influenced ingredients. The Tequilla Power Punch was definitely the favourite! 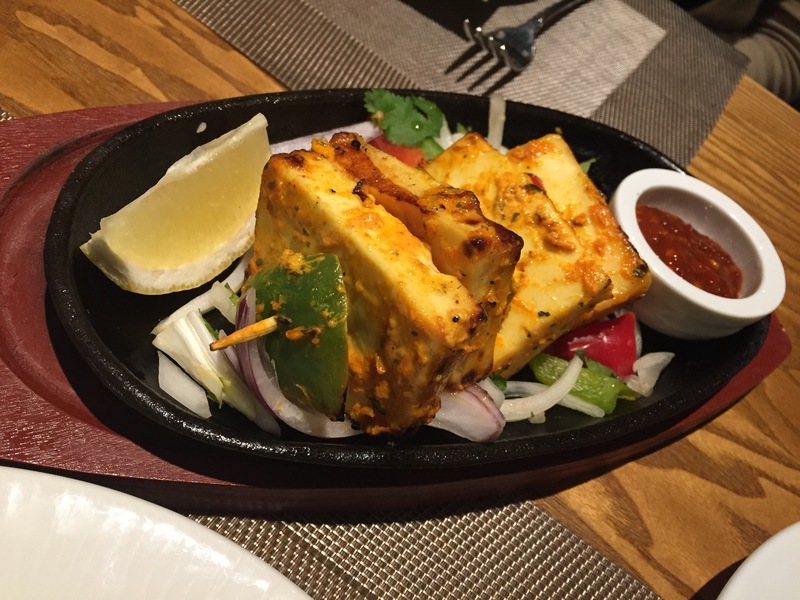 For starters we had the Paneer Tikka which was soft, light, spicy, tender and pungent. 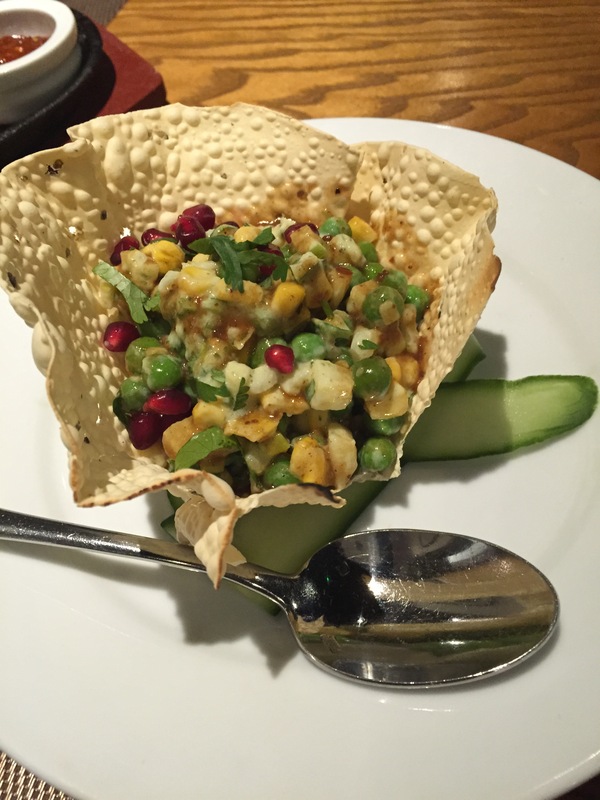 We also had the Sabzi Chaat which was a really pretty veggie dish served in a poppadum cup. It was light, summery, filling, refreshing and tangy. It had a nice combo of veg and a nice cucumber garnish. We then moved onto mains. 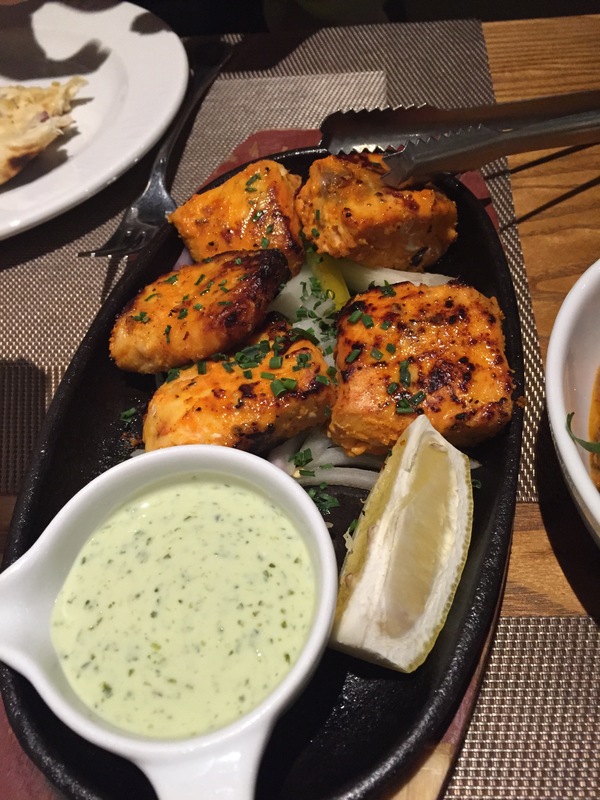 We decided to order the Salmon Tikka, which again was a really unusual dish. This would be great at a BBQ! It was of the perfect texture, the spices weren’t overpowering, crispy, delicate, well complemented with the onions and it was not too heavy. 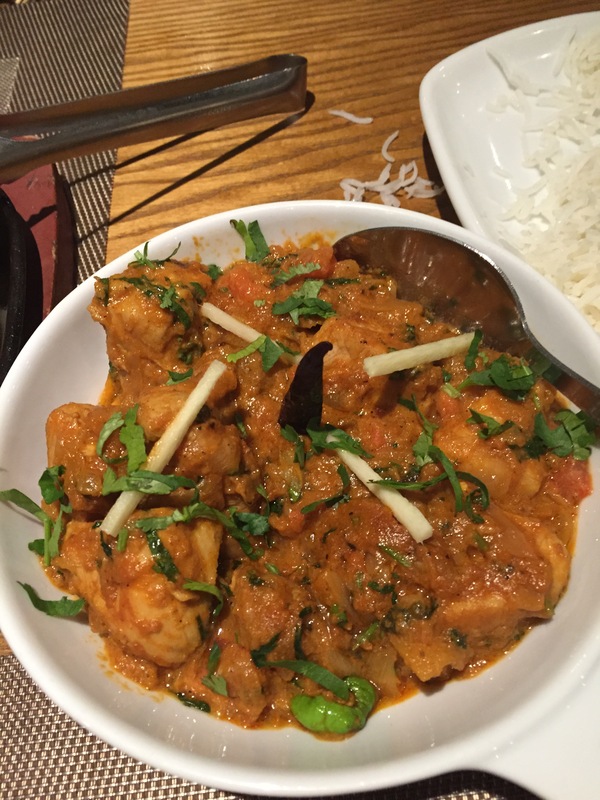 We then had the chicken karahi which had a really wholesome, homemade feel. It was medium spiced, tender and flavoursome. Just like a chicken karahi should be. We had a plain rice and a garlic and coriander naan with the mains. I’m not usually a naan lover but the naan was really tasty and you could tell that the garlic hadn’t just been spread on top of the naan as it sometimes in, and instead made within the dough. Must give a shout out to our waiter Ali for the evening who really looked after us and convinced us to try the rasmalai, we were trying to be healthy and skip dessert but we didn’t regret it! 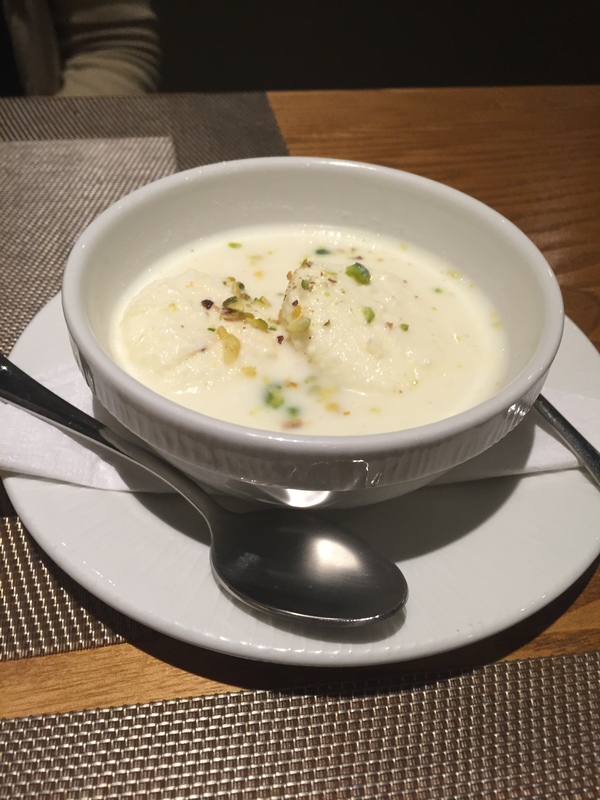 The rasmalai was really, really tasty, fluffy, fresh and you could tell it was made with their own hands. Overall, we really liked Salt ‘n’ Pepper because it is unique but wholesome all at the same time. 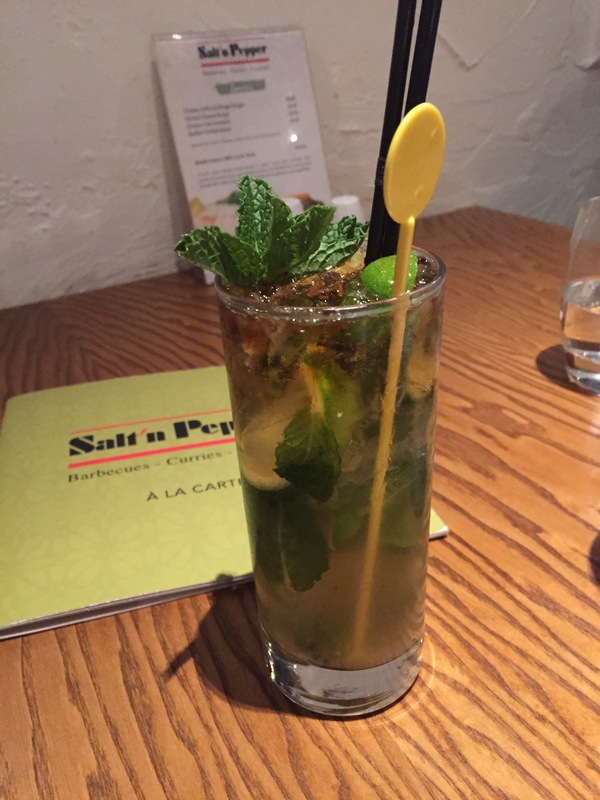 Salt ‘n’ Pepper remains one of my favourite London based Indian restaurants and you should definitely add it to your ‘must visit’ list in 2015! The restaurant have a few offers on at the moment online but if you want to get 20% off at Salt ‘n’ Pepper – just quote “Priya” and the restaurant will knock it off your food bill! (applies to food on the A La Carte menu only).